Summer draws to a close as life fills the hallways of CFHS once again and a new school year commences. New year, new teachers, new classes, new goals and new people. New people and more people, that is to be said, especially for the Tiger Hi-Line staff as we begin the year with one of biggest teams we have had up to date. However, what make this year’s staff unique from those of years’ past is the fact that we have over 20 new members coming from the freshmen classes of the Holmes and Peet Junior High Schools. 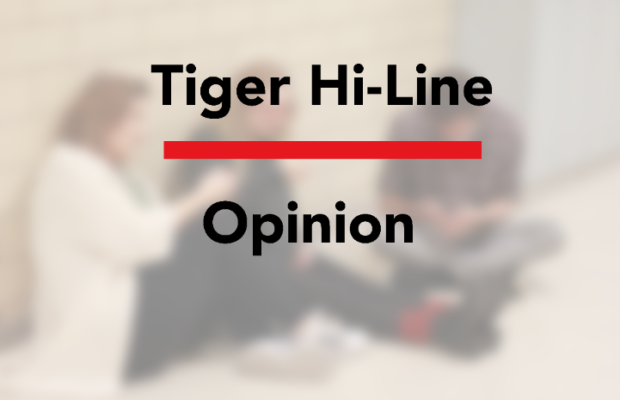 With this addition to the Hi-Line, we hope to cover a diverse number of events that happen at both junior highs and topics of discussion that matter to the students there and to us here at the high school. So far, the experience with our underclassmen has been different, but in a great way. More people equals more ideas, from more bright, young minds. Also, having people who have a different perspective than we do at the high school gives us not only new ideas, but more unique ones and various angles and views as well. Now, we would be lying if we were to say the past few weeks have been nothing but smooth sailing for the new staff. Dealing with differing schedules and schools, late busses, figuring out communication and the printing and delivery of around 1,200 papers is not exactly the easiest thing to handle. On that account, we ask our readers to be patient with us. As we assure you that we are doing our very best to get those great ideas out of our minds and into our paper as efficiently as possible. So teachers, check your mailboxes for the weekly Hi-Line. We hope all of our readers enjoy this first installment of the year and eagerly await those to follow. Welcome back, Tigers!